Vale do Lobo, famous as probably Europe's finest golf and beach resort, is situated in the Algarve in the south of Portugal. Established in 1962, the Vale do Lobo resort has gone from strength to strength, with further investment introduced yearly. The resort offers outstanding leisure facilities and a large choice of stunning property, from townhouses and apartments to luxury villas, with more phases being completed to offer the discerning property buyer his or her dream home within a first class development, which has been designed to offer residents all the amenities they may need. These include first class restaurants, designer shopping, banking, supermarkets, bars, nightclubs, art and cultural diversions and medical services. There are opportunities to purchase either new, resale, off-plan and custom-designed properties within the development, with most skirting the resort's two golf courses with stunning views. There is a full management service to take the headache out of owning a second home abroad. A number of future projects are planned including major oceanfront and golf developments. There is a 24 hour security presence with resort safety a priority. This is backed up by a widespread CCTV network. 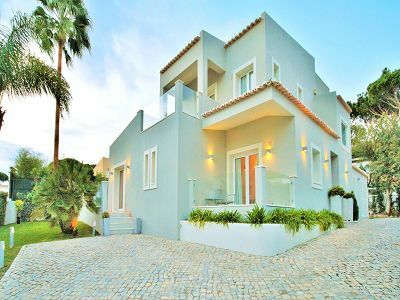 We market a range of properties within the Vale do Lobo developments, from studio apartments to large villas. Whether you are looking to retire, own your own holiday home or invest in a major tourist development, Vale do Lobo will almost certainly offer the ideal property. Designed with the local architectural styles in mind, the developments fit well into the Portuguese landscape with the emphasis very much on enhancing but not destroying the local natural environment. With sea and golf views, the Vale do Lobo property developments offer truly comfortable living within easy reach of life's necessities.